Windows 8 is the latest operating system from world’s best software company “Microsoft”. Although Windows 8 is available since months but its users are still increasing day by day. In windows 8 Microsoft have added new features like start screen rather than start button, new way to search, new design and some other changes are being made by Microsoft. Still many computer users specially new windows 8 users think that its difficult to use windows 8 but in reality its not. If new users know about some basic windows 8 tips then its very easy to make windows 8 work for them in less time. That’s why today we’ve decided to list 8 windows 8 tips for better experience. The best addition in the windows eight is the new menu which pop in when we move the mouse pointer to the upper or lower right corner of the screen. The available options in that menu are search, share, start, devices and settings. 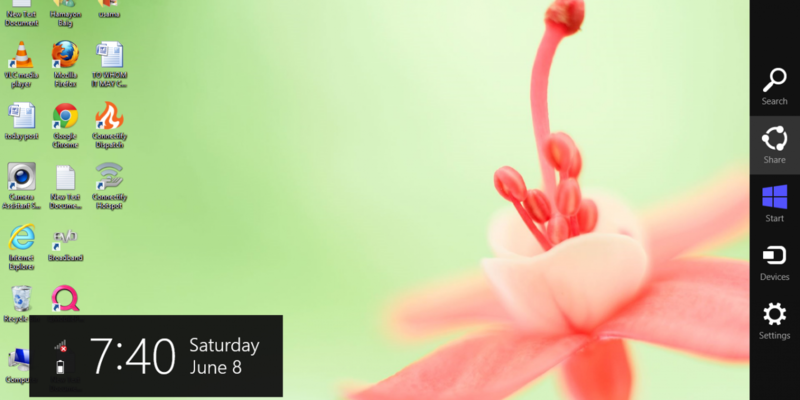 The second thing which pop in along with this menu is a widget which shows time, day, date and network status. 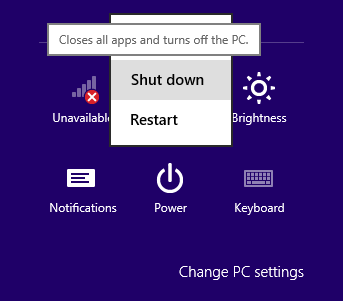 Starting the system with windows 8 installed is same but after starting it first time users can’t easily find power options to shut down or restart the system. Here in windows 8 tips the way to shut down the system is very easy, move the mouse pointer to the upper right corner to bring the menu explained above. Then click on settings > click on Power to bring power options. When you’re are using an app and anything on the desktop in the same time then its very difficult for the new users to move between those running apps easily. To view the all running apps move the mouse pointer to the upper left corner of the screen and then move it little down, a menu with running apps will be opened. Windows 8 users can also go to the start screen without pressing start button on the Keyboard. To reach the start screen move the mouse pointer to the left lower corner of the screen then a small start screen will appear click on that and you will be on start screen in less then a nano second. 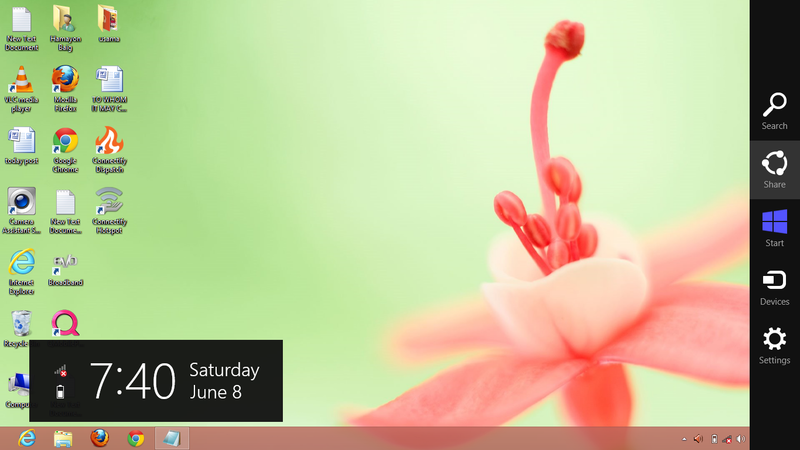 This is a fast way to reach at start screen and that’s why these windows 8 tips are very useful. When we install new apps or software in windows 8 they are placed at the end positions. If you mostly use those apps which are placed at the last position then you can bring them on the first page. 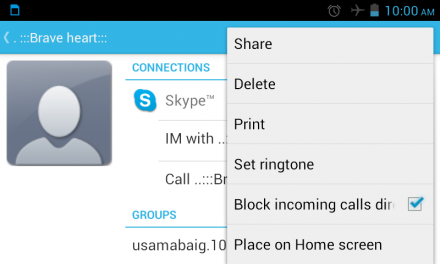 Just like smartphones you can change the positions of the app icons or tiles in the menu. To change the position of any tile double click on it and then move that to your desired place. 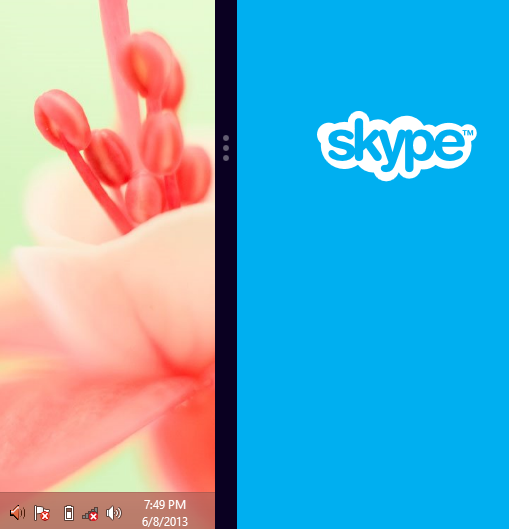 Windows 8 users can also zoom out the start screen to quickly find the required applications. To zoom out the screen click on the small “-” sign at the lower right corner as shown in the screenshot below. Windows 8 users can also control start apps and windows desktop at the same time. Because both can be viewed in one screen. First of minimize all of the opened tab in desktop and then move the mouse pointer to the top middle of the screen, a hand like sign will appear after that double click and place screen at one side. Then open the start menu and open another app and do the same to put that into other side of the screen just like shown in the screenshot below. Here is another great tip in this list of windows 8 tips, windows 8 users can also take and save screenshots just like the smartphone users. Press windows key + Print screen key to take the screenshot which will be automatically saved in the pictures folder. 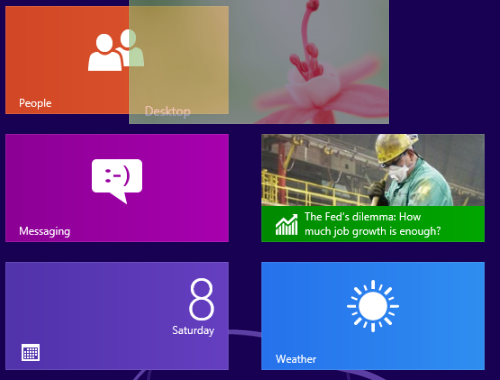 So, these are the 8 must to know windows 8 tips for better and fast user experience. 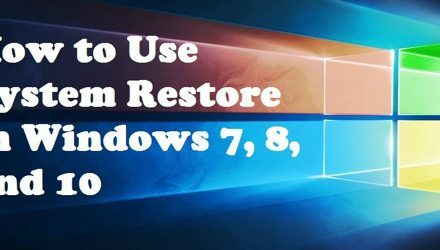 First time users find it very difficult to understand the new features of the windows 8 but I’m sure after reading these tips they will find windows 8 compatible with them 😉 . We hope you will like the stuff but stay in touch with us because there is coming more. 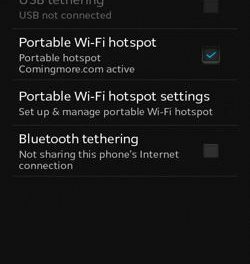 How to Update Software of the Smart Phone?